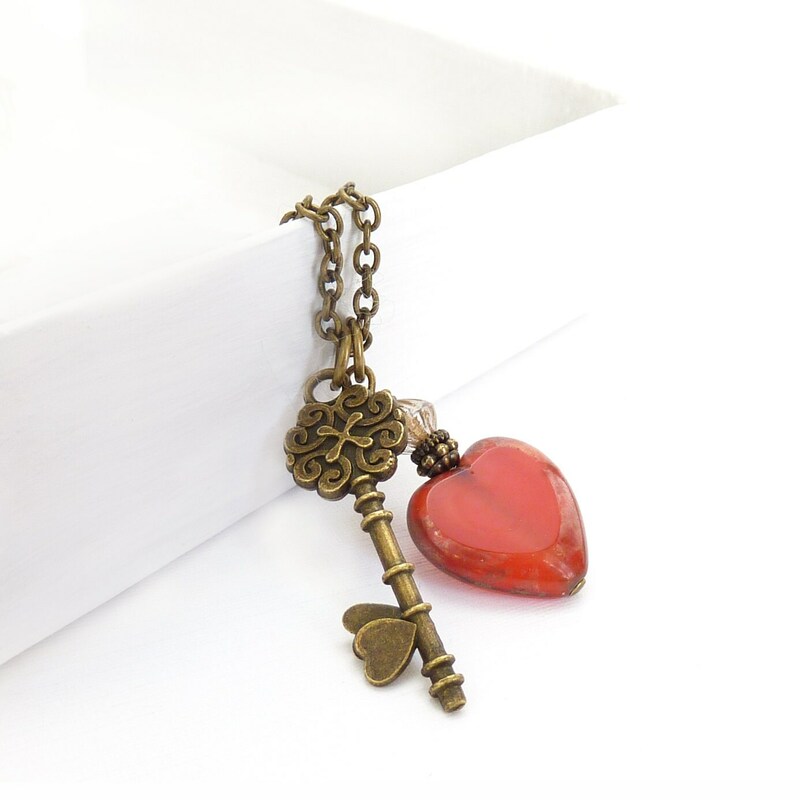 Romantic, Victorian-inspired charm necklace with a red glass heart surrounded by a beautifully detailed and antiqued bronze skeleton key. The charms are suspended on a thin bronze chain with a lobster clasp. This is so simple, elegant and lovely when worn.